We teach this class just once a year. This class always fills up and we have to turn away people. If you missed last year's class or the year before then clear your schedule NOW and make your travel plans to attend this class. If you want to learn how to detail your own boat or if you plan to detail for money, this class is a must! How to machine polish with orbital polishers to remove holograms after rotary buffer steps. 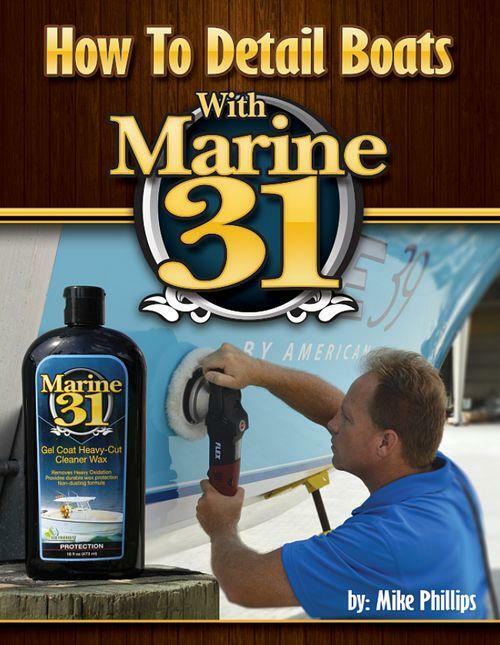 The Marine 31 Boat Detailing Class will give you the experience and knowledge to detail boats like a professional! 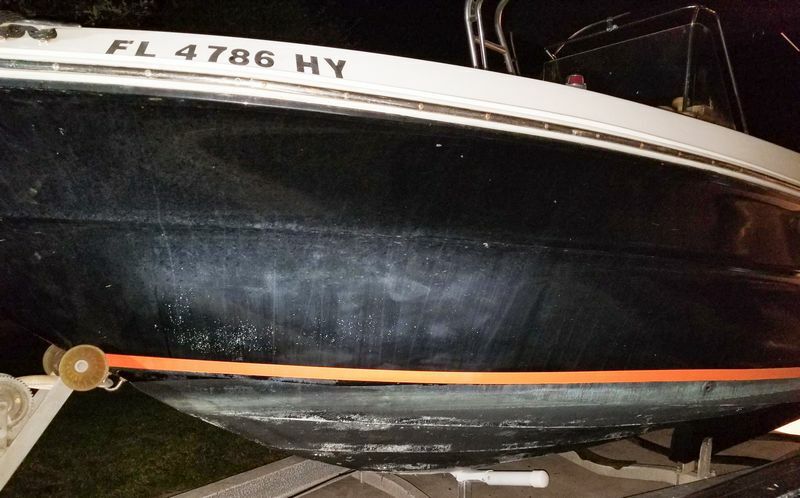 Boat detailing – where do I start? Surely you’ve asked yourself that question, or else you wouldn’t be researching and reading about the best boat detailing classes in the first place. We have an answer for that question, and it’s at Autogeek's Boat Detailing Class. Our one-day boat detailing class provides an in-depth look at boat detailing inside and out. 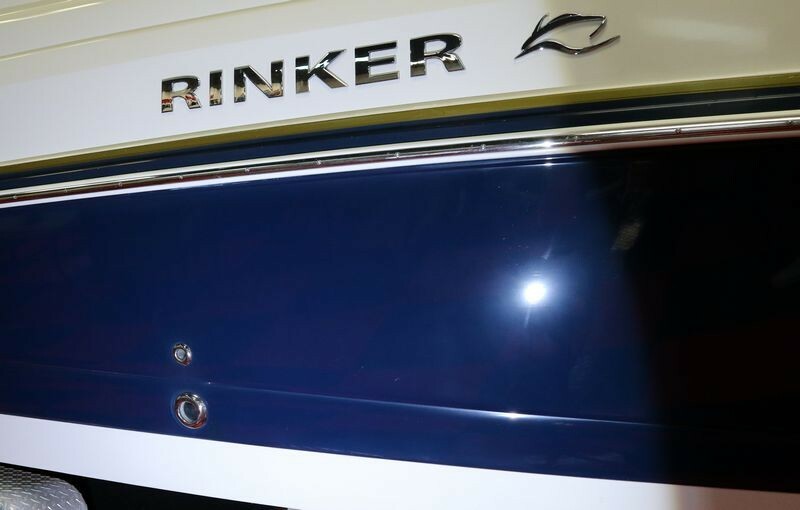 You'll get thorough instructions on how to properly machine sand a boat, remove sanding marks and oxidation with a high speed rotary polisher, machine-apply a wax using a dual action polisher, and more! We'll go over how to use the Flex 3401 for production boat detailing. You'll get to use the RUPES BigFoot 21 for creating a show car finish on black gel-coat boats. We'll go over machine sanding using the Flex 3401 (that's right we're going to machine sand with the Flex 3401) and the Porter Cable 7424XP Polisher. For sanding you'll learn how to use the Mirka Abralon Sanding Discs by machine and by hand. You'll also learn why it's smarter to machine sand heavily oxidized gel-coat boats versus compound with a rotary buffer. The class size will be limited to give everyone an opportunity to ask questions and practice the techniques. The class will be held in the fully equipped Autogeek Show Car Garage located at our headquarters in Stuart, Florida. These are intense hands-on classes! 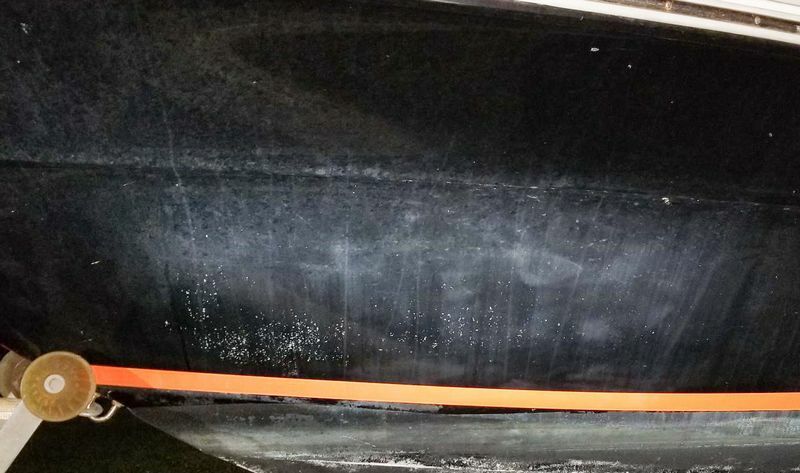 Applying a ceramic coating to the 21' Trophy - REMEMBER how bad this boat started out? 24 people trained to expertly restore the most damaged boats to look like new! Click here to see ALL the pictures from the 2018 Boat Detailing Class and you'll see just how hands-on these classes are! What to bring: Bring a pen and paper to take notes if you like. All chemicals and tools will be provided. Dress: Dress is casual, remember you're going to be washing a boat as well as detailing the boat inside and outside. Please DO NOT wear Flip Flops or dress shoes of any kind. Wear work clothes like jeans, t-shirt and tennis shoes, the kind of clothes that you would wear when washing and detailing a boat. We cannot emphasis enough that these are very HANDS-ON classes so get a good night's sleep the night before the class and be ready to learn and have fun! Note: This will be the only boat detailing class for 2019. The timing of this is right after the Stuart Boat Show and well before the boat season starts. This gives you time to take the class and then get your boat ready for summer. If you detail boats for money then attend this class and position yourself to dominate your market. Our last boat detailing class filled up fast so mark your calendars and plan your schedules accordingly. Hotels, Airports and Attractions near Autogeek's Garage! If you're driving or flying in from any kind of distance and especially if you're attending both the Saturday and Sunday class, here's some helpful information. Tell them you're with Palm Beach Motoring and that our rate code is PBME. Hotel rates fluctuate according to season and other events. We, (Autogeek), do not own the Marriott, so for accurate prices, call them to get the current room rates for the time you will be attending the class. This is true for ALL hotels. The Courtyard Stuart has an in-house restaurant and the Cracker Barrel and McDonald's are right next door. They offer free Wireless Internet in all their rooms. NOTE: I recommended the Courtyard Stuart because it's nice, has a restaurant/lounge and is one of two of the closest hotels to Autogeek. I did not recommend it because it was the cheapest. For lower cost hotels in the Stuart area, do a Google search or use a website like Trivago. Wendy's and Dunkin Donuts are right next door. They offer free Wireless Internet in all their rooms. Plus the fun loving crew at Autogeek! Again, if you love great seafood then Fresh Catch is hands-down the best seafood in town. It's only about 3 miles down Kanner highway and then a right on Indian street, go through 2 lights and take a left and you're there. When you get there, if you're sitting at the bar, tell Boomer I sent you. The course manual for this class is How to Detail Boats wit Marine 31. Each student receives a copy when you arrive on Saturday morning. Have you considered a class for boats in the NJ area like what you did in Windsor,NJ for cars? Love your idea but knowing just how difficult it is to get cars for a car detailing class and how difficult it is to get boats for a boat detailing class right here in our own backyard - I can only imagine how difficult it will be to get JUST THE RIGHT boat for and offsite class. All of the above are "costs" that have to be covered by a FULL class. What I've found sadly is more guys are talk than walk. I'm coming to your next boat class! Last year the boat class sold out in the first part of January, that was the fastest it has ever sold out. I'm confident it's going to be sold out before December's over. Just a heads-up.... if you missed this class in the past because you didn't get signed up in time, don't fool around this year. The boats for this class will be arriving this week. 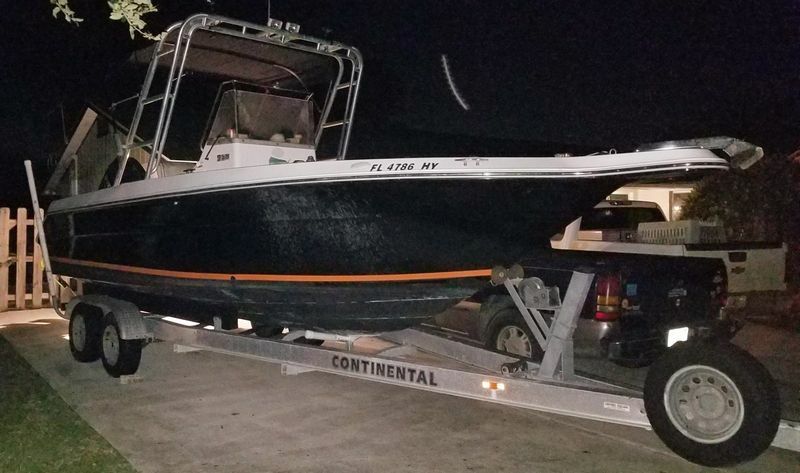 Here are the boats for the upcoming 2019 Boat Detailing Class here at Autogeek's Show Car Garage in sunny, Stuart, Florida!